Has anyone successfully quit Proactiv or another product that contains benzoyl peroxide WITHOUT breaking out badly? I'm 24 and I've been using Proactiv since I was 14. I feel my skin is no longer as acne prone as it was when I was a teen, but my skin seems to be addicted to it, specifically the benzoyl peroxide. I tried to quit Proactiv when I was 17. I was warned that many users suffer major breakouts when they first quit, so I stopped using it. Well, I broke out...HORRIBLY. For months. It got to the point where I had so many cysts and pimples on my face, that I stopped counting after I reached 30. So, I desparately went back on Proactiv, and the breakouts stopped almost immediately. I want to be free of my skin's addiction to Proactiv and benzoyl peroxide, but I fear for the major breakouts, hyperpigmentation, and scars that could form when I quit. So, have you quit an acne product with benzoyl peroxide without having major breakouts? It's a myth that skin becomes "addicted" to the treatment. This is NOT true! 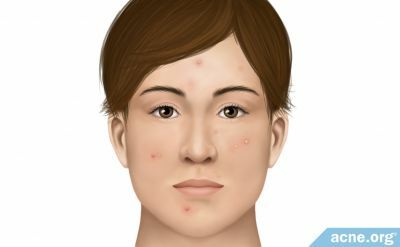 If acne returns after stopping treatment, this indicates that the user still needs treatment to stay clear. However, when acne naturally resolves, you won't need treatment to stay clear, and stopping treatment will not cause a relapse. Many people using acne treatments like BP can often get away with using less when they've been clear a long time. I'd recommend reducing your treatment for a month and see what happens. If your skin stays clear, then try reducing again for another month. However if at any time your skin isn't as clear as you'd like, you can always ramp up the treatment again. I used proactiv for 5 years!!!! I beat proactiv. When I first stopped my face was horrible. Dry ... acne everywhere!!!! Never had acne like this before!!! Last month I stopped proactiv. I used it for a week and switched to natural products. But u have to stick with natural products!!! I will never put BP on my face again. That's it... and I exfoliate once a week using apricot scrub for blemish acne. week 1-5 was horrible by the end of the 2nd month I can walk around with no makeup at all!!!! I never wored makeup either. do not stress cause it will make it worse. Plus I don't moisturizer because proactiv left me oily. And use 100% African soap!!!! !